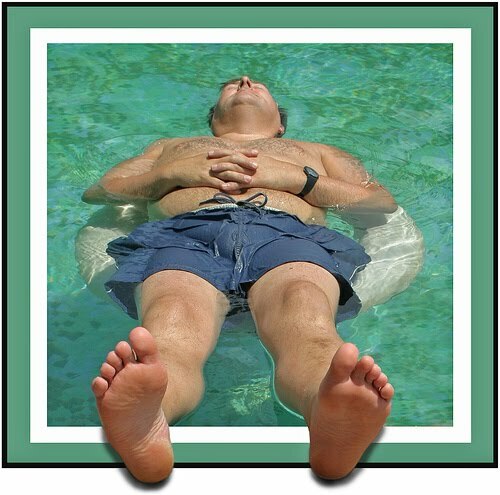 Relaxation is not high up on most guitar players list of things to do to play better guitar. But learning to relax can have a surprisingly big impact on how well you play guitar and the nice thing is it doesn't take a lot of effort or time to see the benefits, which makes it something well worth trying. Many guitarists play with a lot of tension in their bodies. Usually they're not even aware of this tension because they have become used to it. It was there all along as they learned and now it feels normal. It's hard to move your fingers isn't it? Now release the muscles and repeat the finger walking exercise, it will be much easier this time around. Now, in this exercise we voluntarily exaggerated the tension a bit (well maybe, some guitarists do play clenched up like that). But even if you don't usually clench all your muscles before you play it's pretty certain that some of your muscles have unnecessary tension in them. What Happens When You Relax? Now, if exaggerating the tension can have this much negative effect, imagine how the reverse could be true. If you exaggerate the relaxation of your muscles then this can have an equal effect in the opposite sense - making playing movements easier. Your playing can become more accurate and fluid and you will reduce fatigue so you can play better for longer. There are a wealth of guides, tools and courses to help you to learn to relax. In fact it's a whole field that goes way beyond the scope of this blog. But in my experience you don't need to study the literature for years to get major benefits, a simple exercise can help you become more relaxed and focused when you practice or play guitar. One of the easiest ways to bring about a relaxed state I've found is to take a couple of minutes to do a calm breathing exercise. I do this sitting in a comfortable position on a chair or on the floor. I close my eyes and simply breathe in and out calmly. While I do this I concentrate on my body as it breathes, I visualize the air going into and out of the body, the movement of the belly, ribs, back and all their muscles. Do this before you pick up your guitar to practice and you will start your session calm and relaxed. If you want to learn more about the power of relaxation techniques that can help you play better guitar I recommend Jamie Andreas' Principles of Correct Practice for Guitar book. You can learn more about Jamie's principles and methods at the principled guitar web site. If you choose to order the Principled Guitar book from Amazon because of this article I'd appreciate it if you use this affiliate link, it earns a small commission that helps recompense the time invested in building this site. There is a whole method of learning how to play guitar THE RIGHT WAY based on learning how your muscles operate and how to RELAX and learn without tension and achieve whatever you want to achieve on the guitar. Check out http://www.guitarprinciples.com and judge for yourself! P.S. Sorry about the shameless plug, but I absolutely agree that relaxation is THE KEY to playing masterful guitar.